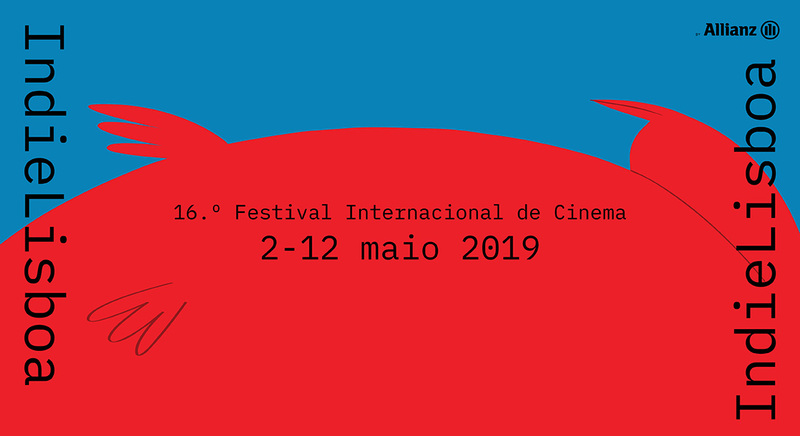 From less than 3 months to the 16th International Film Festival, which happens from May 2nd to 12th at Cinema São Jorge, Culturgest, Cinema Ideal e Cinemateca Portuguesa – Museu do Cinema, the revealing of the image launches the season of news and surprises about the next edition. The imagens were created by the swedish illustrator Alva Skog, who expresses and questions ideas and ideals such as gender inequality and hidden racism through her illustration work. Having recently graduated from Central Saint Martins, Alva is part of the Jelly Futures scheme, which finds the best fresh talent from all sources, offering them a route to a commercial art career. She has already worked with notable clients such as The Guardian, Apple and It’s Nice That (to name a few). One of the specific features of many Alva’s works is to use exaggeration to represent some elements. In IndieLisboa, the main element is the crow, which was deconstructed by Alva’s point of view. Alva represents it in a funny, straightforward and exaggerated way (image below). From this first image, she created the other images telling a story among them: IndieJúnior, the section for children and youth; IndieByNight, the nightlife calendar with parties and concerts happening daily during the festival; and LisbonTalks, a parallel section with talks, workshops, masterclasses and debates. The news about the programme of the 16th edition of the festivals are coming soon. Subscribe the newsletter by scrolling down this page and stay tuned.